Calibre's origins lie in the growth of the vast resources sector. Acting on behalf of giants such as Rio Tinto and BHP, Calibre took a dominant role in the development and modernisation of mining infrastructure across the Pilbara, then expanded to the Coal-fields of northern Queensland and across the urban design and engineering sector in WA, Victoria, NSW and Qld. 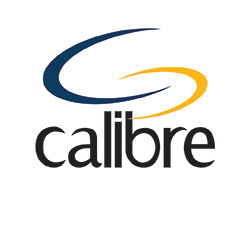 With 1500 staff and offices around Australia, and with a dedicated team established to grow the company presence in Defence, Calibre offers technology design and delivery, structural and mechanical design, heavy mechanical and electrical engineering and brown-fields utilities implementation and remediation. Calibre drove the technology revolution in the mining sector and continues to do so. With deep and practical experience at supporting remote opersations and systems assurance, Calibre's understanding of the methodologies for digitisation positions us well to assist Defence or to similarly drive change in the manner Defence views, monitors and utilises its distributed operational networks and capabilities. Calibre delivers monitoring and assurance services for the City of Perth CCTV network, SCADA monitoring and support for Horizon energy and provided the network assurance design and implementation for the remote operations centres for Rio Tinto, BHP and Fortescue Metals Group. With 120 technicians and its own Netwrok Operations Centre in Perth, Calibre is a new entry to the Defence Cyber workforce but has a long history of successful implementation of its services in some of the most critical networks in Australia.